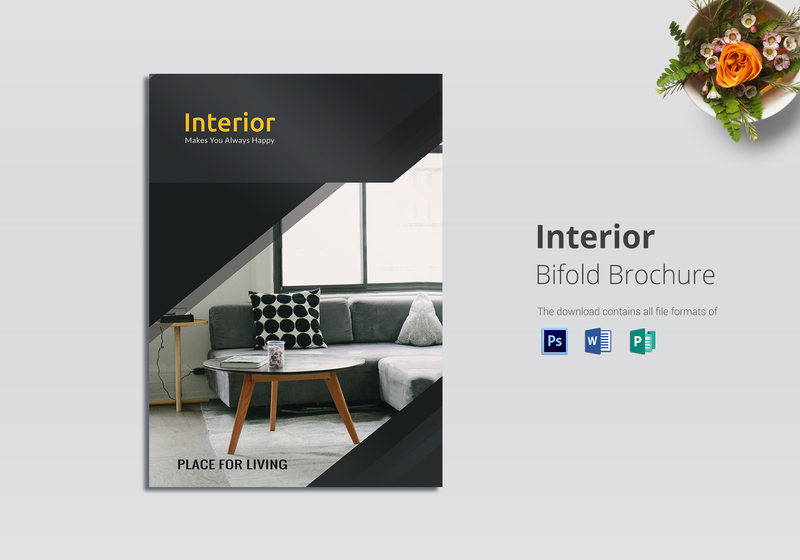 Let interested clients and partners know your expertise in interior design with this bi-fold interior brochure template. 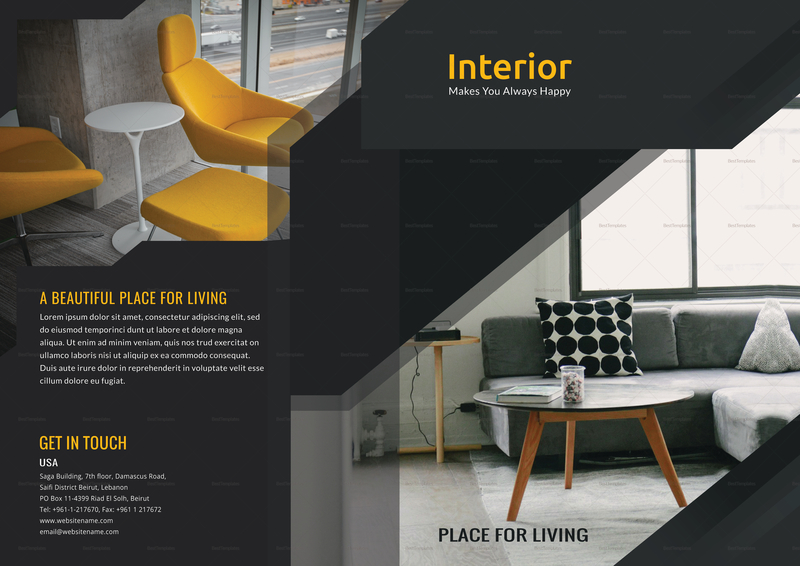 Our professional graphic artists have carefully designed this brochure with you and the purpose in mind. 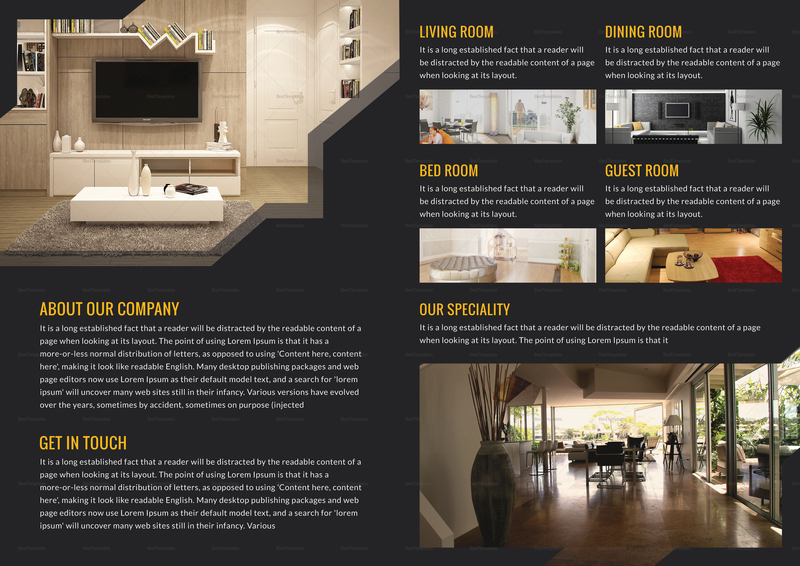 It uses high-quality photos, artwork, and vectors that are easy to customize in Photoshop, MS Word, and Publisher.